Scientists are always striving to come up with new ways to cure the diseases that plague society. And now, it looks like they are one step closer to achieving that goal for human immunodeficiency virus, or HIV. Researchers at the Monash Biomedicine Discovery Institute have found that killer T cells, which we detailed in an earlier report, are able to find hidden infected cells in body tissue and eliminate them. This ability, they say, could go a long way towards ridding the body completely of the virus, a more permanent solution than methods that are currently used. “The potential of this discovery is huge. It helps us to understand how we may be able to treat diseases that affect the immune system itself, such as HIV or B cell lymphoma,” said Dr. Axel Kallies, one of the lead researchers of the study. In addition to HIV, this discovery has the potential to address a range of different diseases and infections that hide and protect themselves when the body undergoes normal treatment. They are able to do this by going to “hiding spots” in the body, otherwise known as B cell follicles. However, while normal treatments may not be able to reach them, killer T cells are much more thorough. “We’ve shown for the first time that there are specialized killer T cells that can migrate into a part of the lymphoid tissue and control hidden infection,” said Dr. Di Yu. “We could potentially transfer these specialized super potent killer T cells into patients, or we could treat patients with proteins that can drag these specialized killer T-cells into the right spots, specifically to the hot spots where HIV can hide on antiviral treatment,” added co-author Professor Sharon Lewin. 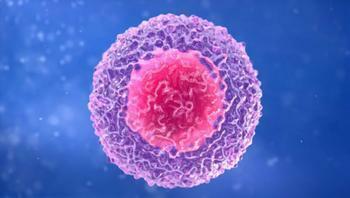 The researchers hope that they can proceed to human trials within the next five years, though they admit that more testing of the killer T cells will be necessary to measure their potency. The full study has been published in the journal Nature Immunology.